Two interesting listening sessions today. This morning we had a visit from our Rega’s estimable Paul Darwin who brought along the new Rega Aura phono stage. Using an RP10 / Apheta II front end into a Supernait 2 / PMC twenty5 23 combo that was already up and running, we were were presented by a large, colourful and decidedly spacious audio landscape. Tonally colourful but also very clear and open, we were enjoying it too much to make any further changes. 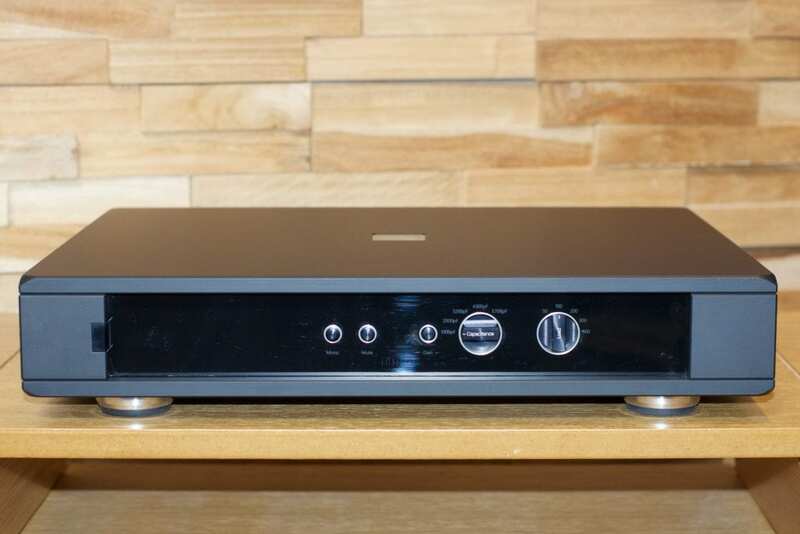 This might not be a likely system choice in terms of spending allocation but it showed the phono stage to be extremely capable. And, yes, we did reference it against other products. Aura is priced at just a whisker under £4000, so this is a premium stage but we were impressed enough to decide to add it to our ever growing demonstration stock. Since it’s part of Rega’s Reference Range we’ve been persuaded to (re)sign up as a full Rega Reference dealer by also stocking the Osiris integrated amplifier. Aura is a lovely piece of work, much quieter than the old Ios and very resolving and musical. It will be fun to build some systems around it. 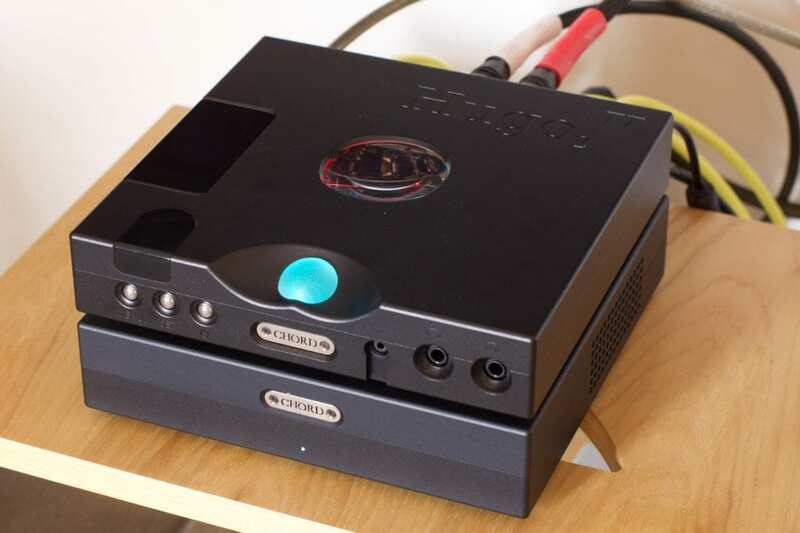 After time for a sandwich, a drink, burst of admin work we than had Maurice from Chord Electronics roll up with the Chord Hugo TT2 DAC and Ttoby power amplifier. This was hooked up to a Melco N1Zh server and some ATC SCM 40 loudspeakers via True Signal cabling. Hugo TT2 / Ttoby gave results that rather belied the price. Serious power and grip was provided to drive what are fairly inefficient loudspeakers. Not for the first time today we were enjoying the experience rather too much. TT2 is better featured than TT1 and it sounds hugely better. Where TT1 is a Hugo with better connectivity and power supplies, TT2 is a much more powerful DAC than Qutest / Hugo 2. As with Qutest and Dave it can accept a twin coax 24 bit 768 kHz feed from a scaler. Now there’s a hint . . . Even used at standard resolution, it’s a ‘class act’ with masses of spacial information and musicality. It rocks along splendidly and, if used with Ttoby, offers a mini system of disproportionate ability. The remote control allows adjustment to volume and input selection. It retains the twin headphone sockets and can have the output line level output set and locked for use as a standard hifi ‘component’ DAC too. The Rega Aura is already shipping will be available very soon. HugoTT2 has some production hold-ups and will not be available until October 2018. Ttoby was already familiar to us and we will have a fresh demo unit when Hugo TT2 is available. Next, we need to hear Etude.